Video Converter Ultimate for Mac is an universal and versatile video converter software for Mac users. 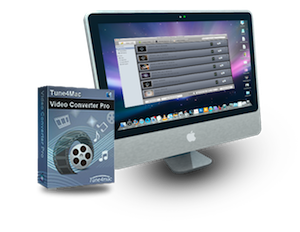 This Mac video converter can convert between almost all popular video formats including ASF, AVI, FLV, MPEG1/2/4, WMV, MP4, 3GP on Mac Mountain Lion or lower. • Compatible with almost all popular video devices such as PSP, PS3, iPod, iPhone, Apple TV, Archos, iRiver PMP, Creative Zen, BlackBerry, Samsung Galaxy S Series, Galaxy Note, Galaxy Tab and more Android devices. 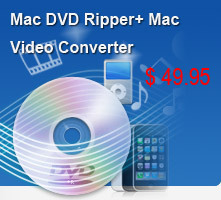 • All-in-One video converter, DVD ripper and DVD creator for Mac. • Professional YouTube and other Web video downloader and converter. • Powerful and special screen and video recorder. • Highly customized video converter allows you to crop, trim and add watermarks, etc. Compatible OS: Mac 10.6, 10.7, 10.8 and 10.9. Mac OS X 10.5 Users: download the program from here. Support almost all popular video formats. The best vdieo converter to converts video file formats between AVI, MP4, MOV, MPEG, 3GP, ASF, FLV etc you desired. It performs the best avi converter, 3gp converter, mp4 converter for Mac users and so on. Extract audios from video files. The best video to audio tool to help you split audio files from videos and save them as MP3, WMA, M4V, M4B, AAC. AC3 etc. on Mac OS X.
Rip encrypted DVD to video and audio. Powerful Mac DVD Ripper software which can convert even encrypted DVD movies to AVI, WMV, MP4, VOB, FLV, 3GP, MP3, AAC etc. Sepcial DVD creator feature added. As a professional video converter, Any Video Converter Ultimate for Mac is now also a DVD Creator to burn any video file into a DVD in only 3 steps. Built-in Web video downloader and converter. Paste URL links of your favorite web videos to the video converter to download them to your hard drive and convert to video formats you need. Support diverse web videos. Websites including break.com, comedycentral.com, dailymotion.com, facebook.com, liveleak.com, howcast.com, movieclips.com, mtv.com, photobucket.com, southparkstudios.com, thedailyshow.com, veoh.com, vevo.com, vimeo.com, youtube.com, myvideo.de, nicovideo.jp are supported. Convert Web video to iPod/iPad/iPhone, PSP/PS3, etc. Easily download and convert the online video files to iPod, iPad, iPhone, Apple TV, Android Phones, PSP/PS3, Blackberry, Nokia, Creative Zen, Walkman etc. Merge multiple files into one. Despite the formats of the videos, you can merge multiple video files into a singe long video while converting. Crop frame size to remove black bars. Crop frame size to remove black bars and retain what you want only. You can either use intuitive drag-and-drop cropping window or set crop area size, left margin and top margin to achieve the goal. Add watermark for output videos. Trim video as you like, and add watermark on the video, you can add both text and picture as watermark on the video as you like. Record all desktop activities to video. Record all desktop activities to video for creating software tutorials, website demos. Also convert screen records to any video formats you like. Record videos. The undownloadable videos such as movies from iTunes and Netflix can be recorded, after recording the movie, the program could convert it to devices compatible formats and other media formats, so you can enjoy it freely. User friendly. Just with a few clicks, you can convert your favorite videos to avi, mp4, mov, mpeg, flv, swf, mp3, aac, etc. Batch conversion & highly customized conversion.Convert multiple files in one conversation. Allows you customize output parameters for target files, like bitrate, frame rate and sample for output audio files. High conversion rate & high output quality. High performation on the conversion speed and output quality. "Your software has proven to be a really good solution, so thanks." "I like the ease of use of this software. Tool bars, buttons and menus are clearly, labeled and self explanatory." Apple logo® and iTunes Logo® are trademarks of Apple Inc.